After I had seen my doctor, I was hoping that my blood test would not show anything abnormal or unusual in my overall health. Although I do take good care of myself, nevertheless you never know when something abnormal or out of the ordinary could start showing up. Luckily the results of the test showed nothing abnormal or irregular, so I was told that I wouldn’t have to return for another year. Quiz: Try again! What is something that is abnormal? It is something that could happen to anyone. It is something that does not cause any surprise at all. It is something that is strange or unexpected. That which is abnormal is unusual or out of the ordinary in some way. Tab Soda Not Normal It's pretty abnormal for us to drink Tab soda, which is not a normal part of our day. Something that is abnormal stands “away from a pattern or standard” that one might expect it to have. 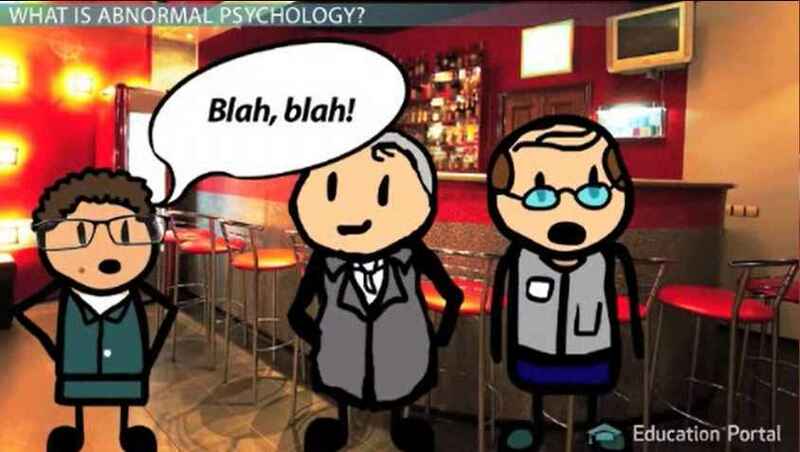 Study.Com: What Is Abnormal Psychology? What if someone acted in an abnormal fashion in a coffee shop?